The 2017 AP test is 1 year, 11 months, 16 days ago (Tuesday, May 2nd, 2017). This is an archive of our 2015-16 AP CS Class work. You can find the latest class details in our Schoology pages under your course AP COMPUTER SCI A1: S1 & S2. Feel free to reference past material here as needed, but there will updates in the new year. Website links and assignments may vary so some material may be out of date. Check in with Mr. Bergquist if you have any questions. Please fill out our AP CS 2015-16 Class Survey, Let me know if there are any topics you want covered in Projects in CS next year too! MS Office Site:office.seattleschools.org/ - Instructions: Students should use there username + @seattleschools.org as email, and I believe need to also enter their SPS account password. - Android Studio, the new free professional development environment using Java. 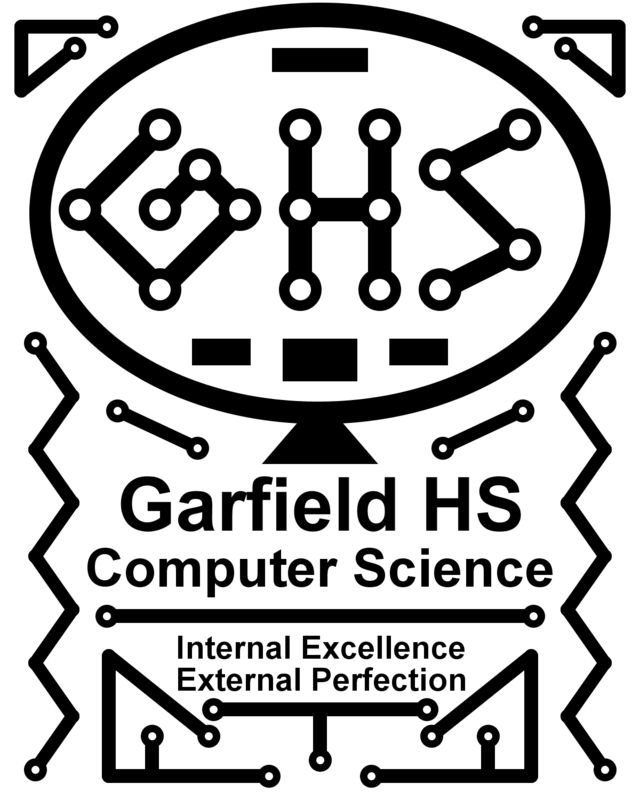 Graduating Seniors: Here's Our Garfield HS Computer Science Linked In Group to join you must have graduated and be over 18 years old. What shall we do to celebrate on Thursday?? 5) For teams, how did you divide up the work and integrate it? - Turn in your textbooks please! Final Project code is due Friday, June 17th, and presentations are Tuesday, June 21st. Instructions at right! Friday: Senior Check Out Day! See you at Graduation and Best of Luck!!! 3) Compile the code in that folder (using JGrasp please) and make sure that it runs fine - you will be executing from here for the demo's on Tuesday, June 21st. Turn into Mr. Bergquist or Mr. Fell as soon as possible, space is limited. Make sure you can attend Friday July, 29th. Note: you all can compete in next year's MS ImagineCup! * Not an SPS nor Garfield HS event so check with your parents/guardians before participating. Seniors: Complete your: Final Project and save code (see left) THURSDAY, 6/9, demos on Tuesday, June 14th. Others you have till next Thursday to turn in code, June 16th - demo's on Tuesday, June 21st. 3) Compile the code in that folder (using JGrasp please) and make sure that it runs fine - you will be executing from here for the demo's on Tuesday, 6/14. NOTE: Mr. Bergquist will be out on Friday, Purple & White. Work on your your Final Project! Continue work on your: AP CS Final Project - I will check in on teams concerned about getting done on time. - You are being graded on your diligent work on your projects daily till presentations! Stay focused! AP CS Final Project - seniors' code is due on Thursday (6/9) for Demo's next Tuesday (6/14)! here (check with Mr. Bergquist if you think you already have an account, I have your account name) Click here for more info on Tech Prep. Sophomores & Juniors: More details on our SPS Skills Centers (Prezi). Check it out especially the video. Summer Class: “Seeing the Big Picture: An Introduction to Investigation Through Data class* at The Data Analysis Academy - cost is $1500 with scholarship resources available. Here's our schedule for this year's: AP CS Final Project Work on them today!! - And then complete your this Reflection - see me for your ID number. Get to work on your AP CS Final Project (schedule here). Let me know if you find any good resources on learning to use this library besides Dylan's material on the page linked above. Complete your Project Proposal (Due Today, Friday 20th May) - save a copy in our class folder: My Computer > S: > embergquist > Writeable > AP CS > Period 4 or 6 > DUE TODAY. - And then complete your this Reflection - see me for your ID number. - CS Socratic Seminar discussion. Review your Project Proposals Make sure your final version is turned in by Friday. Thanks. Complete your Project Proposal (Due this Friday 20th May) - save a copy in our class folder: My Computer > S: > embergquist > Writeable > AP CS > Period 4 or 6 > DUE TODAY. Ready? : Snake Project (SnakeGameTest.java) I have scores for the UW in HS Exams but not class final grade - further details on the final and UW in HS Scoring can be found here. Let's talk about the Snake Project Due sooooon. Make sure to get your Application for the Summer Program (link on bottom of this page with details) in as soon as possible - Please let me know if you are attending! Slick2D (and LWJGL) Workshop Today with Dylan Swiggett of UW CSE. Sign offs from below... Slick2D (and LWJGL) Workshop Today with Dylan Swiggett of UW CSE. You may want to use this in your Final Project Proposal? - Snake Project is due next class after Tue, May 19th. But you will earn a Raffle ticket by having by Friday the 13th (Drawing next Monday before lab due to Prom). - Project Proposal Due next next week. but wanted to see the presentation on a 2D Graphics library on Thursday first.! + 2D Graphics Library Workshop, Thursday, May 12th with Dylan Swiggett from UW CSE. Our AP CS Jokes & Puns! - Start work on: Snake Project. Let's make it fun. FRQ Solutions and details from A+ CS Details of: Snake Project. CodeDay* is Saturday noon to Sunday Noon, May 21 & 21 & Tickets are Available - good chance to meet others who are interested in coding projects. + Wanna learn iOS (iPhone) App development? Check out Make School Summer Program*. - Thursday, May 5th last day for full points on Jumper classwork. - TODAY Please Review: Snake Project. We will discuss on Friday, it will be fun! A few students will be taking the UW in HS test today. So after attendance move into the lab. - Please Review: Snake Project. We will discuss on Friday. AP CS Final Project BEST OF LUCK ON THE AP Computer Science EXAM!! - NEXT: Snake Project. FRQ Quiz Returned - Let's go over the solutions & How to Approach these. UW AP CS A Review Page Let's take a look at a this. Reminder: The UW in HS Final Exam will be Thursday (4th) or talk to Mr. Bergquist. Thanks. Also Try some Previous FRQ problems & their Grading Criteria, most with solutions! - Thursday, May 5th Jumper classwork. - Multiple Choice Questions - Solutions to review - Do Not remove from class, all must be returned at end of class Let's go over some, like a recursion one. - FRQ Answers - on Monday, but LMK if you have any questions or requests. Any requests from our List of AP & UW in HS Exams Resources at the bottom of this page? APCS & UW in HS Review Day and Ice Cream Social, this Saturday, April 30th at UW! remember to register. Identify any specific problems you want guidance on for Friday & Monday! AP CS Final (Mock AP) Multiple Choice exam with only the 2014 AP CS Java Quick Reference!. - Inheritance Mystery (you can click on that page's "polymorphism" link for more practice! - Focus on some FRQ's and their solutions, especially 2D arrays!! **AP CS Review Day & Ice Cream Social, Saturday, April 30th 1-4pm at UW Paul G. Allen Center for Computer Science & Engineering - register to attend. Any questions on the List of AP & UW in HS Exams Resources at the bottom of this page? Any other questions or Requests?? Raffle Tickets to those who HAD Jumper signed off Thursday! Regular sign off details from Thursday below, but once you are done with Jumper, your priority should be reviewing and studying... Feel free to ask questions too. Any requests on MC or FRQ problems to go over? - Shall we try a Recursion Mystery OR Another Inheritance Mystery?? Suggestion: Focus on some FRQ's and their solutions, including 2D arrays!! Did I mention: WeHack 2-Day Hack-a-thon for female students on May 14th & 15th? END of Quarter Grades finalized TODAY - please check the source and let me know if you have any questions! + Raffle Ticket Deadline is Today, 4/21 for Jumper (from GridWorld, part 3). - Gridworld, part 4: Do Part 4's Exercises: 1, 2 and 3 (1 && 2 && 3) OR KingCrab - you choose. Critter notes / Gridworld API due Thur, May 5th. - Done, start on Snake Project. NEW! WeHack 2-Day Hack-a-thon for female students on May 14th & 15th. Check it out. + Raffle Ticket Deadline Thursday 4/27 (updated) for: Jumper (from GridWorld, part 3). - Gridworld, part 4: Do Part 4's Exercises: 1, 2, & 3 OR KingCrab Critter notes / Gridworld API due Thur, May 5th. Handout: Polymorphism & its Mysteries - let's do some. + Raffle Ticket Deadline is Thursday 4/21 for Jumper (from GridWorld, part 3). Tuesday: Solutions for Practice MC quiz - 10 correct needed for an extra Raffle Ticket. - SpiralBug, ZBug and DancingBug from the GridWorld, part 2 should be signed off, last Quarter assignment. - Complete Jumper be ready with your test to swiftly demonstrate all traits with your partner. Here's the Appendixes of GridWorld code to reference. Preview Snake - Due after the AP Exam. TEALS is hosting a Mock AP Exam on Saturday the 16th and 23rd April in Redmond and Wallingford, respectively but be aware, the Programming Contest is the 23rd too, so you may want to target the 16th. More details here. Much Thanks to the TEALS team!! Pick up a Sample MC Test, complete it for grading when we are back from Break for Prizes! And you can find sample Free Response Questions on AP CS Exam Practice Page - requires your AP Login. Work on Bugs & Critters, at left. You will find presentations, videos, and details on these at the bottom of our 2014-15 Class Plan. 0) You should be done with SpiralBug, ZBug and DancingBug. 1) Work on: Jumper in GridWorld, part 3 with your partner. Then) Gridworld, part 4 We'll be doing Exercises: 1, 2 and 3 (1 && 2 && 3) OR KingCrab - you choose. Pick up a Sample MC Test, complete it for grading when we are back from Break for Prizes! You can use the: Grid World API - AP CS Quick Reference Sheet for the Quiz, it has a couple GridWorld questions. + You can find sample Free Response Questions on AP CS Exam Practice Page - requires your AP Login. Complete: Jumper Due Monday 4/18. TEALS is hosting a Mock AP Exam on Saturday the 16th and 23rd April in Redmond and Wallingford, respectively but be aware, the Programming Contest is the 23rd too, so you may want to target the 16th. More details here. Much Thanks to the TEALS team!! Tuesday 4/5 Extend a Class in GridWorld to create a Jumper. Next) Gridworld, part 4 We'll be doing Exercises: 1, 2 and 3 (1 && 2 && 3) OR KingCrab - you choose. - 13.2 Program Complexity 785 - 794 (Optional but interesting) Any questions for Thursday's Quiz?on ArrayLists, classes, Binary & Arrays - Thur April 7th. - Study Review . You may also want to reference the Supplemental Videos if you missed lectures. Monday 4/4 Extend a Class in GridWorld to create a Jumper. No Foolin' Extend a Class in GridWorld to create a Jumper. Study Review for upcoming Quiz on ArrayLists, classes, Binary & Arrays - Thur April 7th. You may also want to reference the Supplemental Videos if you missed lectures. Binary Warm Up! Study Review for upcoming Quiz on ArrayLists, classes, Binary & Arrays - Thur April 7th. You may also want to reference the Supplemental Videos if you missed lectures. 3/31 Create new Bug Actors in GridWorld using Inheritance. * Work in teams of two, it's a bit tricky Warm POP! 3/29 (Block) Follow Inheritance and interact with SuperClasses. Set up the GridWorld Case Study, build your first bug! Make sure you have Sign off On: Weight class lab practice. Due today. Spring Programming Contest is Saturday, April 23rd at Roosevelt HS Registration CLOSES Wednesday night! Form a team today!! Friday 3/25 Using Inheritance to build powerful objects. Thursday 3/24 Define your Objects Sort Order in Lists using the Comparable interface and compareTo method. Complete & Sign off on: Weight class with a Comparable Interface lab practice. Extra Practice on Interfaces: Playing Cards Today: Weight class with a Comparable Interface lab practice. Spring Programming Contest is Saturday, April 23rd at Roosevelt HS Registration is Open! Form a team today. 3/22 & 23rd Create a common Interface for Objects. 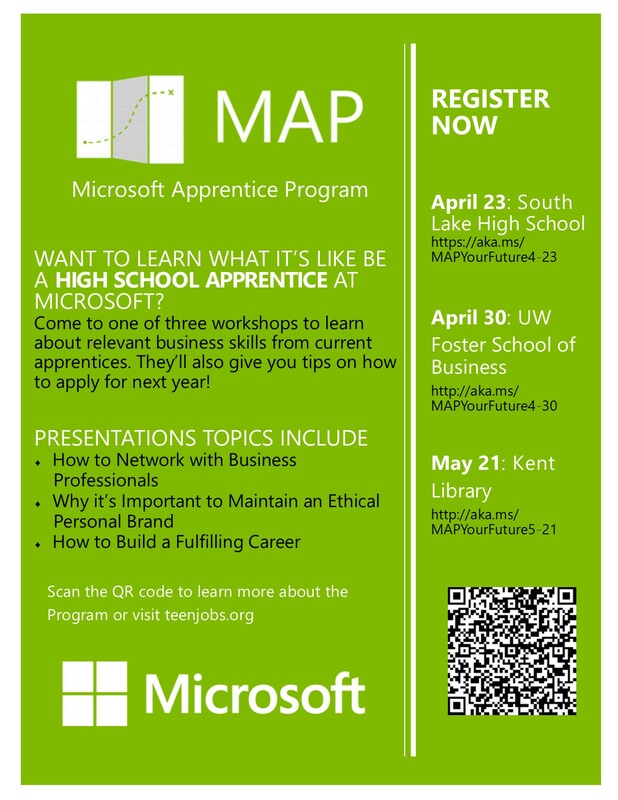 Seniors Only: Microsoft Young Technologist Seminar Intership* Earn $4,800 learning to design and build tools at Microsoft for 6 weeks. Application Due Wed, March 23rd (short form and Resume). - 9.3 Polymorphism 578 - 588 (Later...) Warm Up: What fields & methods do you think every Product is required to have at Amazon.com? What was important about Interfaces?? Monday 3/21 Build a collection of Object Classes using ArrayLists to create a functioning project. 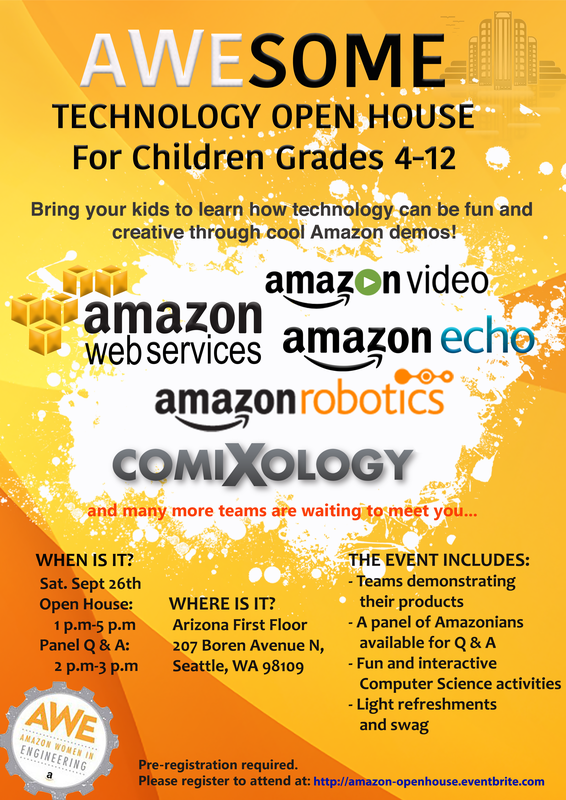 + Spring Programming Contest is Saturday, April 23rd at Roosevelt HS Registration opens next Wednesday after school Warm Up: What fields & methods do you think every Product is required to have at Amazon.com? Friday 3/18 How is data represented in a Computer & the Internet? Binary & Hex number systems. Any questions about using Object Oriented Design for the Shopping Cart Projector in general about the Project 8: Shopping Cart. Due TODAY or tomorrow. Warm Up: What fields & methods do you think every Product is required to have at Amazon.com? And Friday 3/19. Build a collection of Object Classes using ArrayLists to create a functioning project. Plus Binary/Hex & Interface Introductions! - Decimal to Binary Testing Considerations (Warm up): What's the Pattern & the Scientific/Testing Method - What quantities should you use to test your Item object? Binary & Hex in 25 minutes! 3/14 (Pi Day!) & 15 Build a collection of Object Classes using ArrayLists to create a functioning project. ArrayListFun.java Sample Solution from last week's Class demo's. Good examples to use for the ArrayList problems. Create ArrayLists and use their methods to solve problems. - Finish and get sign off on the ArrayList Practice (PDF version) final day for sign off Monday 3/14. Thur 3/10 Assessment on Arrays & Logic. 3/7 & 8 Create ArrayLists and use their methods to solve problems. Build robust Object Classes, demonstrating constructors, encapsulation, and exceptions. Quiz (Array Mysteries, Boolean Zen logic and Array Programs) Next Thursday! 3/1 & 2(SAT) Build robust Object Classes, demonstrating constructors, encapsulation, and exceptions. Complete Car and Student Objects: Creating the Car & Student Object Classes Practice - last day for sign off is Thursday for full credit, and we will be starting ArrayLists this Thursday. Monday 2/29 Build robust Object Classes, demonstrating constructors, encapsulation, and exceptions. Start Creating the Car & Student Object Classes! Or Object Exercises in Object Practice It or Try some Multi-Dimensional Array Practice Its. Tuesday 2/23 Create an the Point Object class and use it to solve the Epicenter problem. Build the the "Epicenter" solution using your Point Object (at the bottom of the Your Own Point Object Class sheet. Monday 2/22 Create an Object class with State (fields) & Behavior (methods) and add its Constructor for initialization. Friday 2/19 Using 2D Arrays and your first Object! FIRST: Please complete our DNA project Survey today. - Complete 2D Array ASCII image processing worksheet. Due for sign off on Monday. - AP Exam Details - make sure to Garfield Register (Link here) (deadline March 7th / Payment by 8th). - Please complete our DNA project Survey today. + Finish up creating Your Own Point Object Class (more on the Epicenter problem on Monday). Thursday, we will start creating Your Own Point Object Class together in lab. Still missing some DNA project - Turn In Project Here. - Due Last week. Introducing the Object Class! Wednesday the 17th!) Store information in 2D Arrays and create methods to display & manipulate them. Then Do the 2D Array ASCII image processing worksheet. A Valentines Day Algorithm! - check out a great example of applying math & programming to solve a problem. Do the 2D Array ASCII image processing worksheet. Store information in 2D Arrays and create methods to display & manipulate them. - Final / Mock AP Exam Results: Let me know if you want to see your Exam. DNA project NOW due Friday, Feb 12th. Microsoft Internships & Google Computer Science Summer Institute (CSSI), summer 2016 - Applications are due 4th & 3rd March, respectively. Recommendation Requirements forthcoming. Tuesday 2/9 Use Arrays and Structural Decomposition to solve the DNA project. Questions on DNA project? Make sure to have proper Class Constants, Structured Diagram is due today, project due Thursday. Welcome to Semester 2! Use Assertions to better understand how your code will execute. - 7.5 Multi-Dimensional Arrays: pp 473 - 479 - later this week, Thursday; make sure you have done the reading. Semester 1 Final Details Scores are in the Source. Questions on DNA project? Make sure to have proper Class Constants! And its Structured Diagram is due today, project due Thursday. Happy End of 1st Semester! Final Assessment of Semester material, through Arrays. Then work toward getting sign Off on Structured Diagram for the DNA project - Due by Monday 8th Feb - you should be done soon. Done? Take a look at: Coding Bat Best of luck on the Semester Final Mock AP CS Multiple Choice Test (33 points). - How do you convert the decimal value to percent? - What happens when you use Math.round()? - How can you adjust to have 3 decmal places do you need? Use a little math. Wednesday 2/3 Use Arrays and Structural Decomposition to solve the DNA project. - Work on the DNA project Due Thursday Feb 11th (before Break). NOTE: Monday's Lecture: 7.5 Multi-Dimensional Arrays: (reading details below) Any questions regarding the Final Mock AP MC Test on Thursday? Have you tried any of the practice problems? MC questions in the Details & Course Description (p23+ - ignore those with objects, recursion, sorts and Array Lists) and Sample Multiple Choices. Use Arrays and Structural Decomposition to solve the DNA project. Work on the DNA project Due Thursday, Feb 11th (before Break). NEXT Monday - Start the Semester right! - 7.5 Multi-Dimensional Arrays: pp 473 - 479 - next Monday Let's look at Sample MC questions in the Details & Course Description - Exam details page 21 followed by sample MC questions. + Any Questions on the MC Quiz?? + Couple new Event Announcements** on our Class Home Page. Do these with a partner for quick sign off, then get back to the DNA project. Thanks. Work on the DNA project Due Thursday Feb 11th (before Break). Check out: Applying CS to help Scientists Seeing DNA aided by Computer Animation. Friday 1/29 Approach structuring your methods for a project by creating a Structure Diagram. First Create your Structured Diagram for the DNA project, Last day due by Monday 8th Feb.
+ Check out Printing to a file instructions, more details later. Fixing FencePosts & Starting the DNA project. + OR Alternate Arrays Lab from UW CSE 142 page with list of scored problems! Quiz Corrections for ReGrade are due by Wednesday, 2/3 - 50% points gained with max of 17.5/22. AP EXAM DETAILS Understand the AP Exam & our Semester Final format. - Details & Course Description - Exam details page 21 followed by sample questions: Warning - We have not covered Objects yet, there will be non-familiar material! - AP CS Course Overview Page with careers! - Sample Grading Guidelines 2009 - varies each year. - AP CS A 2014 Java Quick Reference Document (alt link) NOTE: no GridWorld anymore. Try these Boolean Multiple Choice Problems - good review of logic and doing MC problems. Gives correct answers and reason if you fail. Our Booleans & DeMorgan's Law presentation can make later one's easier. Both of these sheets are formally due by Friday, 24th January. - The Washington State Opportunity Scholarship (WSOS) supports low- and middle-income students pursuing eligible high-demand majors in science, technology, engineering, math (STEM) or health care. Can earn up to $22,500! Applications due Monday, February 29 (5pm PST). Anyone going to the PLU Programming Contest - Sat, Feb 6th? Please tell Mr. Bergquist. 1/14 Block Manipulating the values of Arrays to solve problems accessing them "by Reference"
+ Alternative: CSE 142 Arrays Lab - tell me if you are doing this one. 1/12 & 13 Manipulating the values of Arrays to solve problems accessing them "by Reference"
Baby Names go over the Checklist for the Baby Names Project! - Before you finish up Baby Names go over the Checklist for the Baby Names Project! - Start Array Practice Sheet (first) - review Arrays as Parameters before starting. Alternative? : CSE 142 Arrays Lab - let's discuss. Project 5: Creative Name Generator. Instructions at right, complete this first. + Think about the PLU Programming Contest - Sat, Feb 6th at Pacific Lutheran University. Not a Garfield or SPS event, so ask your parents before signing up. + Sign off on Reading Data From A File Practice Problems last day for full points is Thursday. Done: Try some of the PLU Programming Contest Practice Problems Warm Up: Shall we solve finding the line based on the input name? Announcing the PLU Programming Contest - Sat, Feb 6th at Pacific Lutheran University. (Practice Problems) - not a Garfield nor SPS event, check with your parents before signing up. Thanks. - Sign off on Reading Data From A File Practice Problems Thursday is last day for full points. We are going to Peer Grading of Project 5: Creative Name Generator later this week, please make sure you have it turned it in by Tuesday here. (was due 12/18). I'll explain. NOTE: Thur: Quiz for students who missed it just before break. Let me know if you cannot make it. Early & Star Wars Release Day! Have an Intergalactic Winter Break! Using Fencepost solutions, while loops, and pseudo-random numbers to create a Project 5: Creative Name Generator. DUE TODAY: Your Project 5: Creative Name Generator is due TODAY, Turn it in here. - we will peer grading after break so make sure it is turned in. Must be in for Peer grading after break, see me if you are not going to be complete. Complete: Reading Data From A File Practice Problems Finish up your Project Day! Finish up your Project 5: Creative Name Generator is due TODAY, Turn it in here. (Block) Assess knowledge of String Methods, while loops & logic. & Using Fencepost solutions, while loops, and pseudo-random numbers to create a Project 5: Creative Name Generator, (DUE Friday). - Complete Project 5: Creative Name Generator, Turn it in here. Due Friday 18th Dec - we will peer grading after break so make sure it is turned in. + Work on Reading Data From A File Practice Problems - teams of 2 or 3. Due by Tuesday Jan 5th - could be homework over break for full points. Quiz on material through Strings - Open notes & book. - Complete Project 5: Creative Name Generator, Turn it in here. Due Friday. Not a creature was stirring, not even Kilo Ren. Tuesday 12/15 Using Fencepost solutions, while loops, and pseudo-random numbers to create a Project 5: Creative Name Generator & Reading from File problems. Finish up: Project 5: Creative Name Generator, Turn it in here. Due Friday 18th Dec - we will peer grading after break so make sure it is turned in. Quiz Practice It problems are highly encouraged. Converted one written program to a "String Mystery". Monday 12/14 Formatting printed numbers - printf. Using Fencepost solutions, while loops, and pseudo-random numbers to create a Project 5: Creative Name Generator. - Get signed off on: Fence Post & While Loop Practice to make sure you can get the Sentinel while loop in place. Line-based file input Warm Up: Removing Vowels from a file of text! Questions on Project 5: Creative Name Generator? Due Friday 18th Dec.
Quiz Practice It problems are highly encouraged. Congratulations to everyone who went to the Programming contest. I'll let you know when the scores are in. Hope you all had a good time. Mind if I post some pictures? NOTE: Mr. Bergquist will be out all day Thursday and has an all Staff School meeting Wednesday after school. If you have questions about the project or quiz, see him Monday or Tuesday after school or during the day. Thanks. - Work onProject 5: Creative Name Generator (due Friday 18th Dec). Note: Alternative Project from a couple years ago: Guessing Game: Project 5 Questions on Project 5: Creative Name Generator (due Friday 18th Dec). * Quiz on Thursday Dec 17th: this Quiz Practice is highly encouraged. + Please fill out this online Exit Ticket on Strings and previous topics, if you have not already. Rest of period: Lab Day! - Strings Lab Practice - sign off. OR work in groups to solve the Reading Data From A File Practice Problems Note: this is your next classwork, due Monday when we are back from break! Questions on Project 5: Creative Name Generator? + How do we get only 2 decimal places to display for currency? Can we do it with Math.round()? 2) Copy this on your PC and extract the zip there - it expands to 250Mb+. Monday 12/7 Using String methods & the char type to solve text problems. Using Fencepost solutions & while loops. Work on Fence Post & While Loop Practice - 2 Practice It! 's and a third optional warm up problem. Line-based file input Introducing Project 5: Creative Name Generator (due 12/18) Let me know if you are unclear on any of the instructions here. - What order does a series of String methods execute? - What would this code do? - What's the Method Declarations? + What are you interested in for Computer Science Week (Dec 7-12)? What kind of speaker would you like?? Any professionals you know of? + UW Computer Science Open House*, 1 - 5pm on Saturday, Dec 5th, at UW's Paul Allen Computing Center. RSVP to attend! - CODE: Debugging the Gender Gap screening party at Google! * Wed, Dec 9th Click here for more details. * These events are not SPS nor Garfield HS events and you need to talk to your parents/guardians before registering or participating. 11/24 & 25 (shorter) Using Returns, Conditionals (if/else) & Cumulative Algorithms to solve problems: Birthday and introducing Strings! Strings Readings in BJP - Monday's Lecture... Homework reading. - 4.3 Text Processing: char pp 253 - 256 (for SmallestLargest problem) Garfield Dawgbots ranks 2nd in League Competition! Then work on: Project 4: Birthday Due Wed Nov 25th. + Please fill out this online Exit Ticket on Advanced If Returns & Cumulative Sum at end of period. + Quarter Grades are in the Source - going out tonight. LAST DAY TO REGISTER: Programming Contest at UW, Saturday Dec 12th, registration closes today at 11:59pm Form a team of 3 with Classmates. Cost: $30, scholarships available. Then work on: Project 4: Birthday Due Wednesday Nov 25th. Review Style Guidelines for: Project 4: Birthday Due Wednesday Nov 25th. Reminder: Programming Contest at UW, Saturday Dec 12th, registration closes on Monday, 11/23 Form a team of 3 with Classmates. Cost: $30, scholarships available. - Then Start: Project 4: Birthday Due Wednesday Nov 25th.? Register for the Programming Contest Saturday Dec 12th at Microsoft*, registration is open till Monday, 11/23 Form a team of 3 with Classmates. Cost: $30, scholarships available. Advanced If Returns & Cumulative Sum. Q&A: Project 4: Birthday Due Wednesday Nov 25th.? Preview: Project 4: Birthday Due Wednesday, Nov 25th? Quarter ended Monday, 11/16. Warm Up from Yesterday. ANNOUNCING: Programming Contest Saturday Dec 12th at Microsoft*, registration is open till Monday, 11/23 - be ready!! Register Here Form a team of 3 with Classmates. End of the Quarter is Today. Check the Source & make sure all your Lab worksheets are complete through all the Graphics and the Math & Scanners Lab Worksheet, which I will be signing off today (Graphics after today are late). Assess your use of Parameters, Graphics & Math methods. Mark your Calendar: December Programming Contest is Saturday Dec 12th at Microsoft, and registration will be opening on Monday the 16th! Check out the details and Talk to friends to form a team of 3! Tuesday 11/10 Using Math Methods to make calculations and Scanners for gathering input. Upcoming Quiz (Thur) Q&A - through Math, Parameters & Graphics (no Scanners) - open book & notes, along with a copy of our Java Syntax Sheet V2. Monday 11/9 Using Math Methods to make calculations and Scanners for gathering input. Next Quiz Thursday (11/12) : Parameters, Graphics, Loops, & Math Returns (no Scanners). Open Book & Notes. Complete the Quiz Practice Homework Assignment for class "grading" tomorrow. December Programming Contest registration will be opening on Monday the 16th! Talk to friends to form a team of 3! Friday 11/6 Using Math Methods to make calculations and Scanners for gathering input. Project 3: Café Wall Due TODAY Sorry, Mr. B not available after school and the lab not be open. + Quiz Practice Homework Assignment - complete to be "scored" in class on Tuesday,10th November. Next Quiz Nov 12th on: Parameters, Graphics, Loops, & Math Returns (no Scanners). Open Book & Notes. Project 3: Café Wall Due Friday NOTE: Mr. B not around after school Friday, lab likely not open. Questions on: Project 3: Café Wall? + I will illustrate the drawing on the other side of the wall. Tuesday 11/3 Creating scalable graphics using for loops & parameters. Work on Project 3: Café Wall - Due Friday, Nov 6th. Time to work On Project 3: Café Wall Any Questions?? If you did not get an email with results, try this now. Let me know if there are any problems. + NEW! GirlCode Movie Screenings - Free at Google & Amazon.com Wednesdays, Nov. 4th & 11th, respectively. Sponsored by Women@Google & Amazon Women in Engineering. Monday 11/2 Creating scalable graphics using for loops. Start work on Project 3: Café Wall - Due Friday, Nov 6th. If done early, try additional Chapter 3 and 3G problems in Practice It! See if you can get a high score for the week!. [BJP Material Superset] Return Quizzes!! Rest is Lab Work Day!! + NCWIT Aspirations in Technology competition extended to Wednesday, Nov 4th 2015 - all women in CS should consider applying. Thursday 10/27 Creating scalable graphics using for loops. Review: Project 3: Café Wall, Due Friday, Nov 6th. If you have not already, Please fill out this form to pick your Size for your Free Garfield CS T-Shirt! (yes it's free, but I need your shirt size!) Scale the Car from slide 6 of Graphics Part 2, with starter code: ScaleTheCar.java. Random Pick? Check out: Project 3: Café Wall Due Friday, Nov 6th (note: Mr. Bergquist will not be around after school on the 6th). 10/27 & 28 (Short period) Creating graphics using for loops. 1) : Starting Graphics Drawings- start signing off. 2) Get signed up with Practice It! from UW Problems and try out: BJP3 Self-Check 3.6: parameterMysteryNumbers for sign off. Got it? Good, next we will parameterize & scale that Car and then print a row. And Please fill out this form to pick your Free T-Shirt Size for your Garfield CS Shirt! Monday 10/26 Using Objects: Use Methods of the Graphics Object to create cool images within the DrawingPanel. DrawingPanel.java Must be copied to your Java code folder/directory! 10/23 Creating graphics with DrawingPanel. - Sign off's on Parameter Practice Lab Worksheet 1-3 first priority (for sign off), then try the rest. Should finish up today. - UW in the HS: College credit for AP CS forms & fees due Friday, 30th October. Any questions? - NCWIT Aspirations in Technology competition - applications due Monday, 26th Oct.
Tuesday 10/20 Basics of Parameters. - 3G.2 Procedural Decomposition with Graphics: pp 205 - 209 Our First Quiz on Thursday (10/22). Questions? Shall we do a warm Up to review?? Note Handout: Parameters with Parameter Mystery Worksheet (on back). Monday 10/19 Using nested loops & Class Constants to draw Complex Scalable images. Intro to Parameters. Turn in Project 2: Space Needle DUE TODAY Monday 19th October. - 3.1 Parameters: pp 133 - 147 Project 2: Space Needle - Review Criteria for Grading & any last minute questions?? Quiz Block Day Thur (22nd): What's on it Any questions? Friday 10/16 Using nested loops & Class Constants to draw scalable images. Then work on: Project 2: Space Needle? (due 2nd Oct) Due Monday 19th October. Please set up an account in: Practice It! from UW and start practicing!! Done? See Thursday's suggestions below... Any Questions on: Project 2: Space Needle? (due 2nd Oct) Due Monday 19th October. Work on: Project 2: Space Needle? Due Monday 19th October. Parameters Presentation Our first Quiz MOVED TO next THURSDAY 10/22! Questions on: Project 2: Space Needle?Due Monday 19th October. Chick Tech Event Sat & Sun, Nov 7 & 8th - let Mr. B know today if you are interested, and talk to your folks. This is not an SPS or Garfield HS event and you need to talk to your parents/guardians before registering or attending. Tuesday 10/13 Using nested loops & Class Constants to draw scalable images. Notes from Loops Exit Tickets Are we ready for a Quiz Thursday? Questions? Project 2: Space Needle Due Monday 19th October. Monday 10/12 Using nested loops & Class Constants to draw scalable images. - Get signed off on: Expressions & Loops Lab Worksheet - should be done today. - Then Start on: Project 2: Space Needle Due Monday 19th October. Introducing: Project 2: Space Needle Due Monday 19th October. Questions? Quick Look: Complex Figure Exercise Can you reverse a loop?? * Remember: Our first Quiz MOVED TO next THURSDAY 10/22!. Friday 10/9 Using nested loops & Class Constants to draw scalable images. Need more Nested Loop Practice? Thursday 10/8 Using nested loops to draw scalable images. - If you have not already, please fill out our: Expressions & Variables Exit Ticket (there will be one later for Loops). - Start the more Complex Figure Exercise. Stop by the WIT meetings Monday at Lunch in 115a for more discussion. Complete: Nested for Loops (PDF) in JGrasp. Work in Lab for an hour then... make sure to try some Loops!! - UW Lab 2: Expressions, Variables, and Loops A self-paced lab exercise. Tuesday 10/6 Use nested loops to draw scalable images. Done? Start the Complex Figure Exercise we will be doing next. Take our Class Packet home to be reviewed by your parents and signed. Sign your part first today! - UW in HS, college credit for AP CS. NOTE: Curriculum night is Thursday. Monday 10/5 Using simple for Loops & start to nest them. Complete and get Sign off on: Expressions & Loops Lab Worksheet (You can start the loop problems!) Goal to be completed by end of class Thursday, OK? Next: Managing Complexity & Scaling start Thursday or Friday. Complex Figure & Class Constants How was it turning in Project 1: Song? Start 2nd page of Expressions & Loops Lab Worksheet . Friday 10/2 Solving Expressions in Java & creating Variables types. Check your Coding Conventions and Verify your output with Quick Diff before turning it in. Thursday 10/1 Solving Expressions in Java. Today During Class you MUST click the "Forgot Password" link in Grade-It or you will not be able to turn in your project - must be done during the school day. b) It should ask you to sign in first, but you don't have a password yet, so click the "Forgot password?" and enter your Account UserName, which is the color_animal (you need to include the "_"). c) An email will be sent to the address you gave me with a link to change you password, establish your password there. d) Now after signing in, you can go to "Student Home" for "APCS 2015-16" and you will find the link for "Assignment 1 (Song)". Click on it. - Then "Turn In" the assignment to submit. f) Note if you do this during class, you will hopefully get a confirmation email, if while not in school you may not, but can check with me the next day. Thanks! 1) Finish: Project 1: Song (20 Points) - (Due Friday, Oct 2nd) You will only be able to Turn it in here only if you already defined your password (details above). Make sure to Avoid minor Errors! Test your output with Quick Diff and Check your Coding Conventions. After you have verified it, use the Project 1: Song Turn In Page to turn it in using your UserName (color_animal) & password. Tuesday 9/29 Solving Expressions in Java & creating Variables types. 0) A few of you still need to enter your Grade-It Account name & email in this form - required for you to submit your project. 2) Work on Project 1: Song Due 10/2 Friday. Test your output using QuickDiff.com, the grade you save may be your own. Shall we start Expressions & Variables? Monday 9/28 Mastering Println & Decomposition using Static Methods. About our Coding Conventions & first Project. 0) Make sure you have taken our AP CS Class Survey please. - Thanks. 1) Once you receive your Color & Animal Account Code Name, please complete this form so you can submit your program. Thank you. 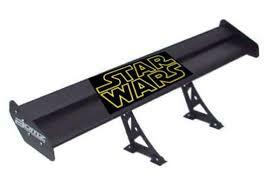 NEW - Seating Assignments - let me know if you need a change. Project 1: Song (20 Points) Due Friday, Oct 2nd. A) You will be given a Grade-It Account Code Name that is a Color and Animal to use to submit your assignments. See Mr. Bergquist for these. B) You will need to complete Grade-It Access Form in order to be able to submit your work. There are only 4 questions; once you receive your Color & Animal Account Code Name, please complete the form today! Thank you. Homecoming! Mastering Println & Decomposition using Static Methods. Please Take our 2015 AP CS Class Survey please. - 2.2 Variables: pp 72 - 86 Please Take our 2015 AP CS Class Survey please. Block Begin using Println, Comments & Static Methods. 35 Minutes How to use our Textbook & Class Pre-Assessment. While signing out an AP CS Textbook. Write your First Java Program! Compile and Run your first Java program. Friday 9/18 Understand details about the AP CS class. Get familiar with our Classroom Guidelines. Thursday 9/17 Welcome to AP CS. Learn what this class is all about. Ed Lazowscka’s presentation on ComputerScience, Global Challenges, andNational Policy (great images and visual insights) "Water Cooler Conversations"
SPS Network Use Agreement must be obeyed while using the Garfield Computer Lab and other computers. Versions of the Agreement in other languages can be found in the “Department of Technology Services” Section of this page: http://www.seattleschools.org/cms/one.aspx?objectId=14407 .